Nick was a Marine Technician for the R/V Atlantic Explorer from early 2015 to mid-2017. In July 2017 he was promoted to OTS Manager and is now responsible for overseeing R/V Atlantic Explorer cruise planning, providing onboard science equipment and instrumentation support including servicing, calibration, maintenance and repair, ensuring onboard data collection, offering science logistics support and is a co-PI on Oceanographic Technical Services NSF Grants. Growing up in suburban Pennsylvania, Nick's only exposure to the ocean was during family vacations and school field trips. While completing his Bachelor's degree in Oceanography at Kutztown University of Pennsylvania, Nick involved himself in numerous marine science research projects that provided him with more exposure. One of these research projects included a six-week voyage near the Mariana Trench aboard the R/V Thomas G. Thompson where Nick decided that he wanted to become a marine technician. After graduating from Kutztown in 2013, he spent six months at sea on various UNOLS vessels around the world as a MATE intern. 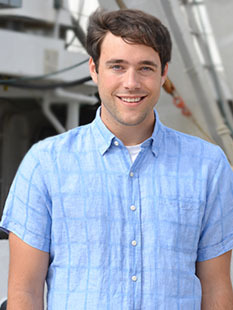 Following his internship, Nick was offered his first job on the R/V Knorr at WHOI. Unfortunately, the Knorr was retired in late 2014. Choosing BIOS was easy for Nick since his mentors and colleagues had spoken so highly of it during his time on the various UNOLS vessels.